Billed by area riders as "the one ride you should do if you only do one ride all year", The Great Owyhee Ride Against Hunger is named for a True Century Ride that starts at the Historic Ontario, OR Train Depot and winds its way up through scenic Rural Oregon, past parts of the legendary Oregon Trail, to the base of the Majestic Owyhee Dam before returning to town. Breakfast, Lunch (featuring local breweries & wineries), and plenty of rest stop & logistical support are provided. 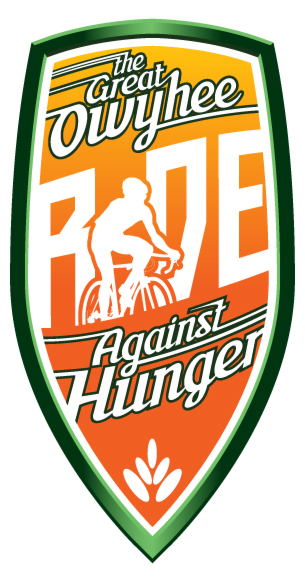 Proceeds from the ride benefit Oregon Food Bank-Southeast Oregon Services. Organizers Note: Registrations must be received by May 19th, 2017 to guarantee Ride Shirt. Proceed to Historic Ontario Train Depot (should be lots of parking). Event Signage, Registration Tables, & Continental Breakfast area should be visible once parked. While there will be lots of great support along the way, riders are ultimately responsible for their own belongings and condition of their equipment. ALL START TIMES SUBJECT TO CHANGE. PLEASE CHECK WWW.GREATOWYHEERIDE.COM for updated information!